Every weekend in October, Pheasant Fields Farm puts together a weekend filled event for you and your families to enjoy! Every thing fall has to offer is here at the farm! We have corn mazes, pumpkin patches, animal exhibits, hay rides, cow train, caramel apples and more! Kids will love our cow train that will take them on a special tour through our corn fields! Hop in, hold on and explore the cornfields! We have a variety of friendly farm animals that love children! Chickens, goats, rabbits and etc. Come by and pet our friendly fur balls. A beautiful benefit of living in Southern Oregon is the handfuls of vendor we have around us. We have welcomed a variety of local artisans to share their handcrafted products with you! From the kitchen to the fields! Kids love out look out hill! Who doesn't love rolling around in hay on a sunny day! We have carefully pilled hay bails to form a ginormous kid play zone! Surprisingly kids come out pretty clean. 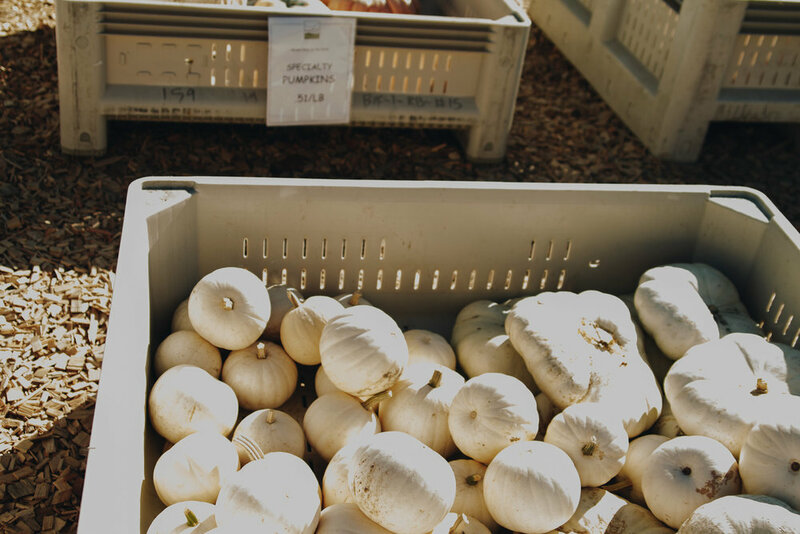 We have handfuls of varieties of pumpkins to choose from! Wonder our pumpkin patches and find out! Baking, decorations & carving we have them all. Bring the family out and enjoy! All ages love Pheasant Fields Farm! Listen to Farmer Ric as you ride along the farm! Pheasant Fields Farms history is one of a kind and you will learn a lot about the surrounding neighbors. Over three acres of corn and three quarters of a mile long of trails! Try not to get to lost in our largest corn maze around. We even host a night event!